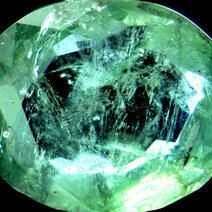 The saturated green variety of the Beryl family. Its colour is due to minute traces of chromium or sometimes vanadium. 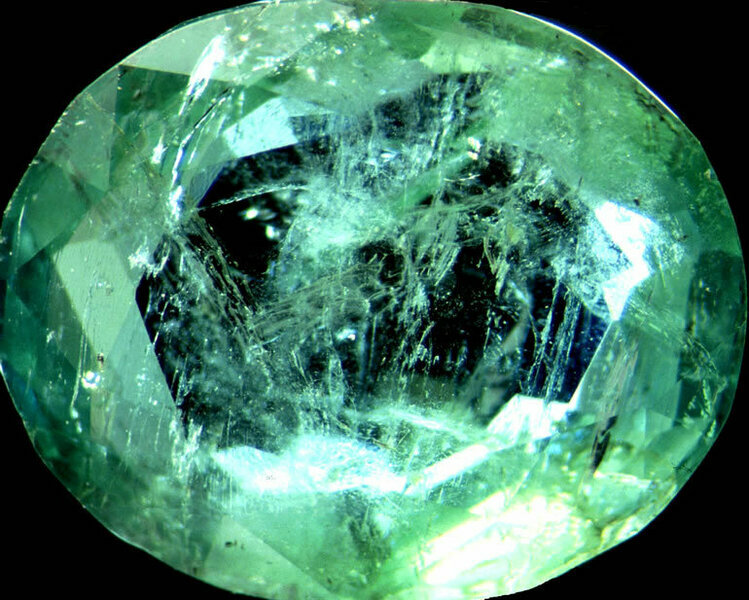 Inclusions in emerald are called jardins from the French word for garden. Emeralds have a hardness of 7-8 and a specific gravity of 2.6 - 2.8. A decorative finish of overlapping circles in a close-set concentric pattern that gives a distinctive textured effect. A lever which restrains then releases a mechanism and in doing so regulates its movement..